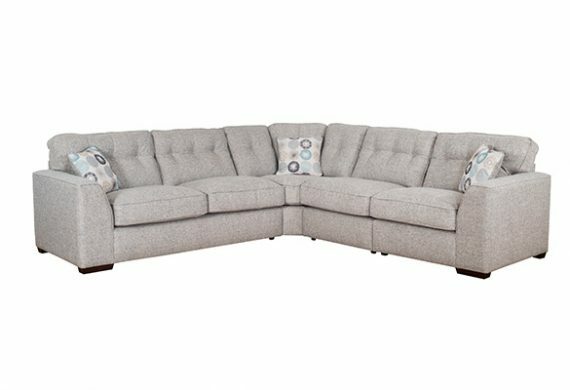 With the right shape room or for living rooms with good space, a corner sofa / suite is the perfect choice for comfort, style and seating options. 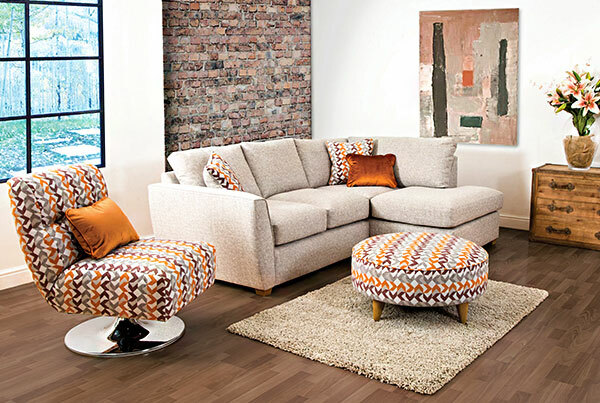 The Coytes corner sofa collections cover both contemporary and classic designs. 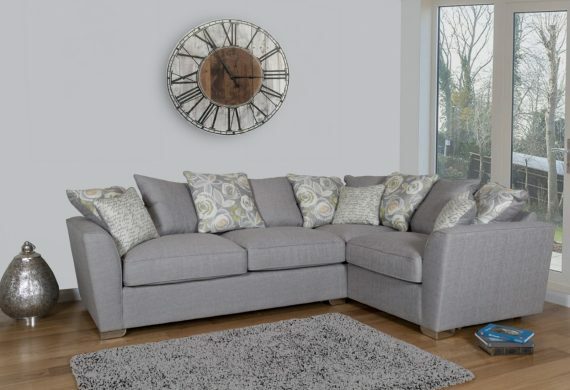 you will find something to suit your home and create the perfect centre piece to your lounge area. 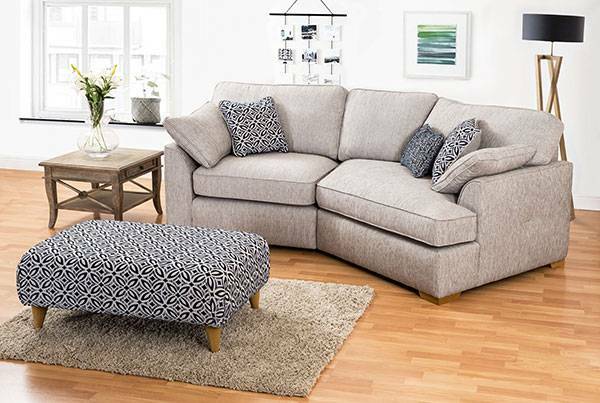 Experience the comfort our corner sofas & suites offer and transform your home today! With the large range available at our Burton on Trent showroom you will be spoilt for choice. 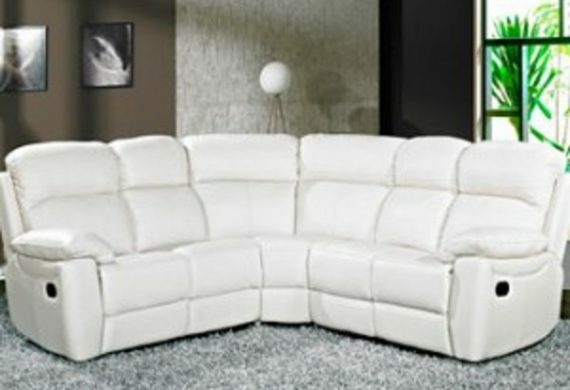 The Atlantis is a contemporary designed suite, available as a sofa, corner group or armchair as well as a sofa bed. 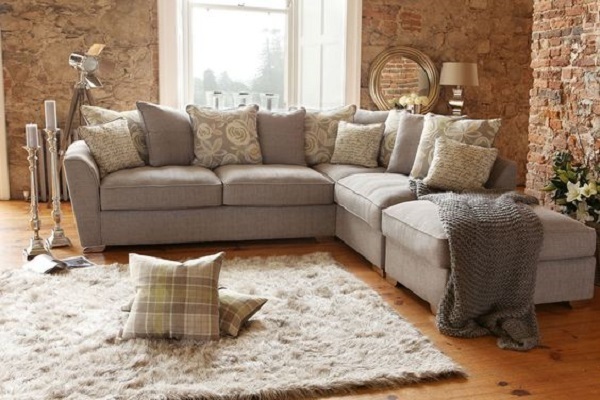 The sofas and corner groups come with the choice of either standard back or pillow back cushions. 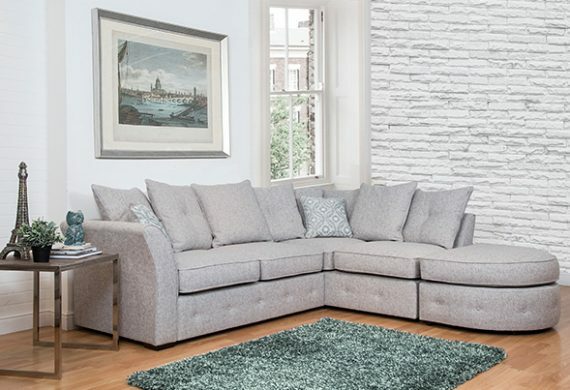 The Atlantis seat cushions are filled with a material called Foamflex, which gives the comfort of fibre with the retention of foam, offering excellent comfort. 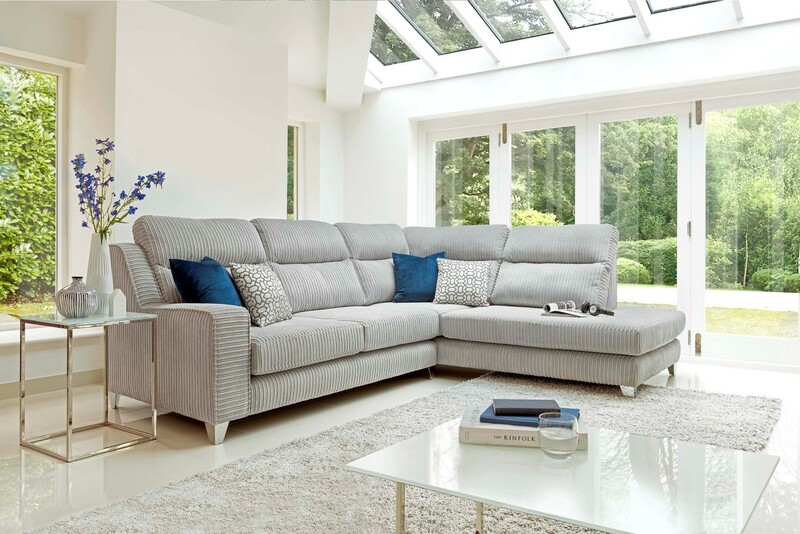 Included with the Foamflex is the standard 5 year guarantee for the seat interior. The latest to roll out of Buoyant, and is proving most popular with us all here with it’s high back for ultra comfort. 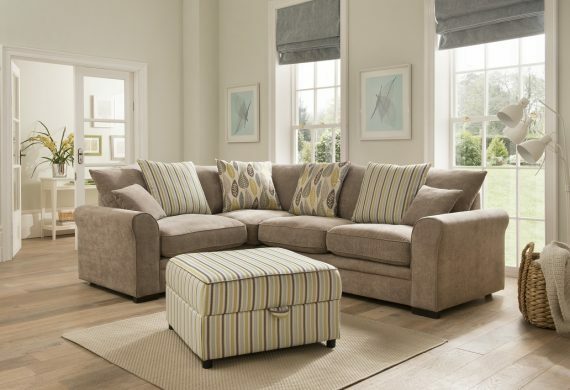 Lovely fabric options, as well as being available as a standard chair, or as a 2 / 3 seater sofa too. 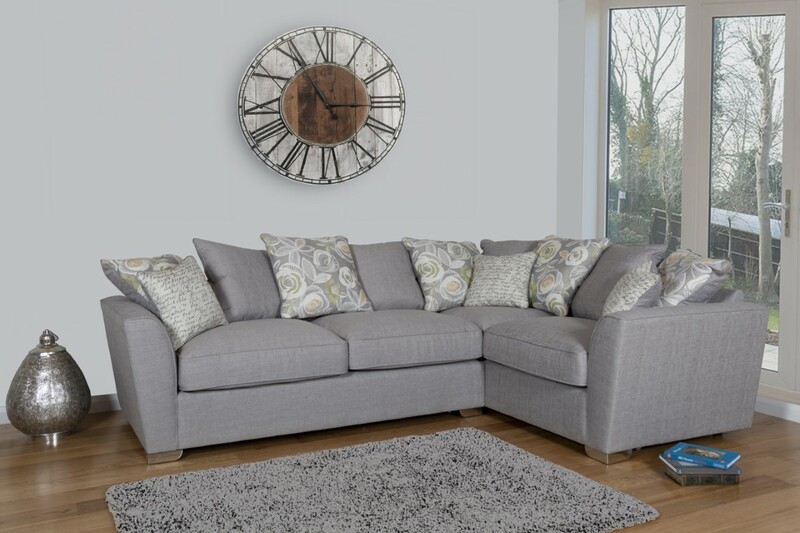 Available with ‘formal’ standard back cushion option, and ‘casual’ pillow back cushion option also. 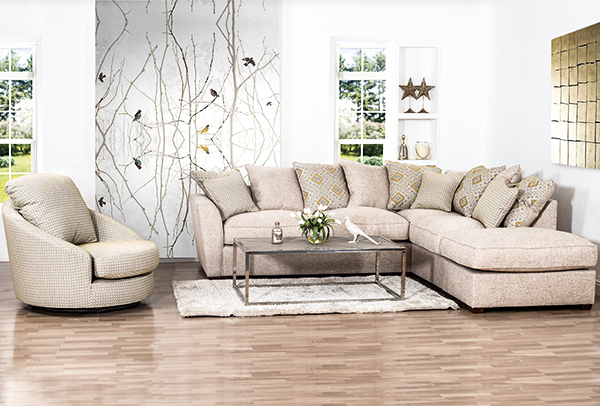 The Elise Suite is a stunning, modern suite. 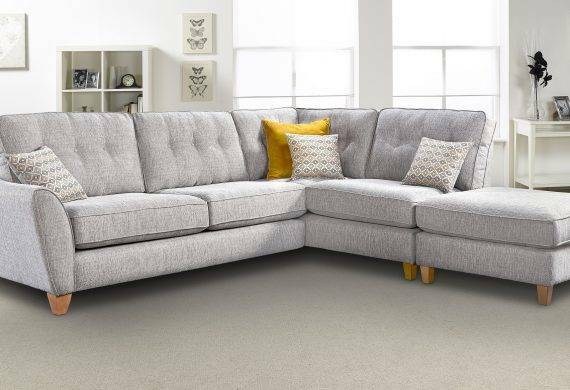 Available in either scatter back or traditional standard back, featuring fibre filled cushions, with an option of either light or dark feet. 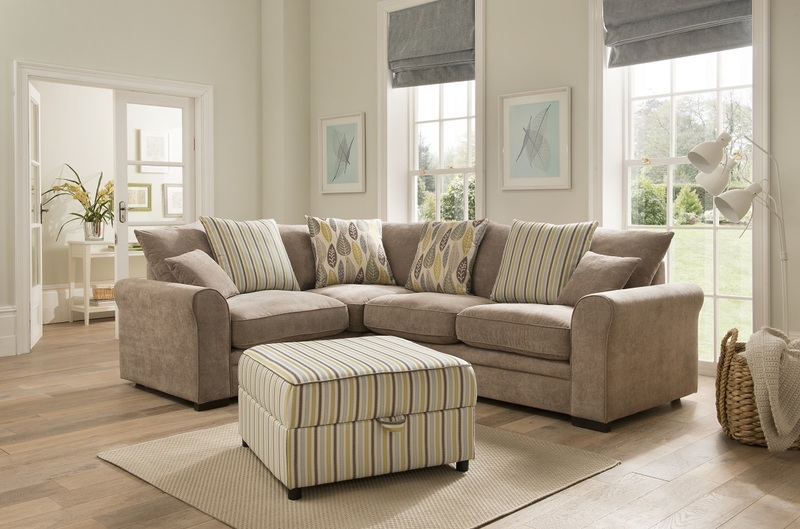 Slightly smaller dimensions, to suit the smaller home, whilst retaining wonderful comfort. 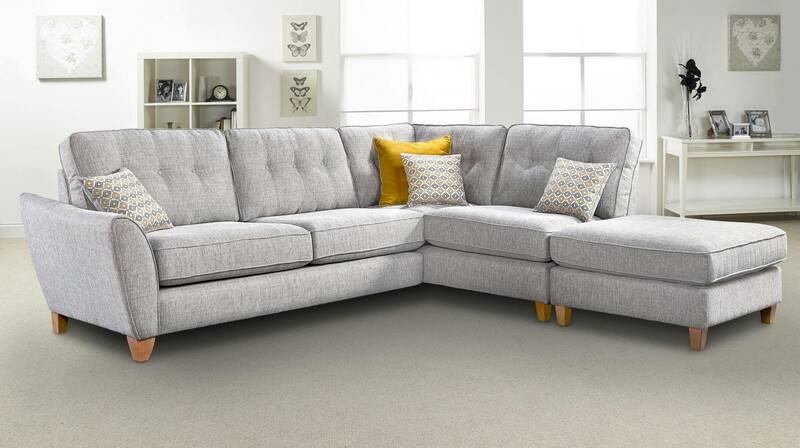 The Elise is also available as a standard chair, 2/3/4 seater sofa. The Fantasia is a contemporary designed suite, available as a sofa, corner group or armchair. The sofas and corner groups come with the choice of either standard back or pillow back cushions. The Fantasia seat cushions are filled with a material called Extraflex, which has a high density foam core topped with carded fibre. 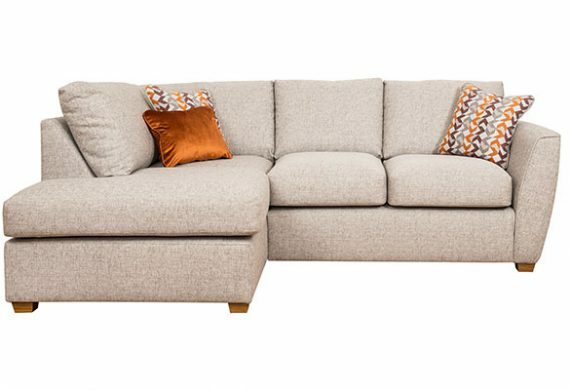 This filling provides a luxurious ‘lived in’ appearance whilst retaining the cushion’s shape and offering excellent comfort. Colours available, Brown, Black, Chestnut & Ivory. Huge fabric choice, and feet colour. Standard 10 year structural guarantee, and 5 year seat cushion gurantee. 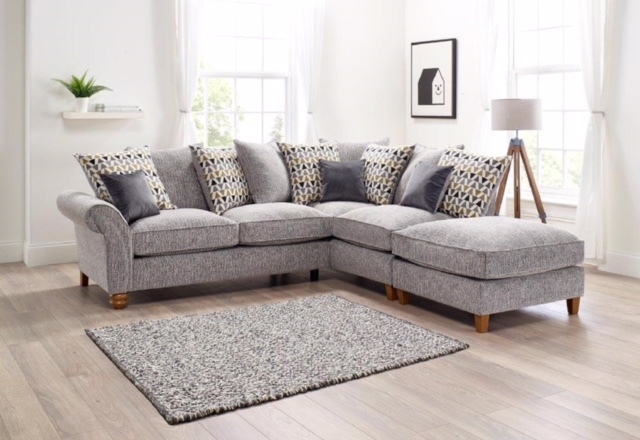 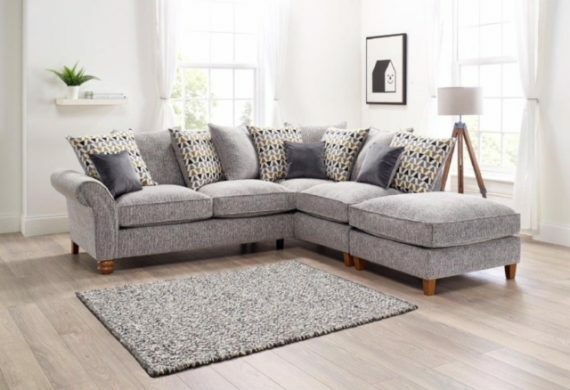 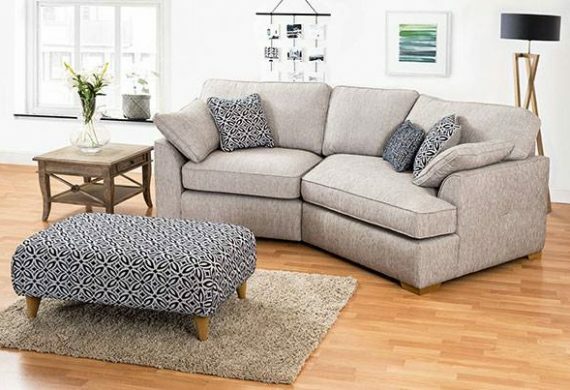 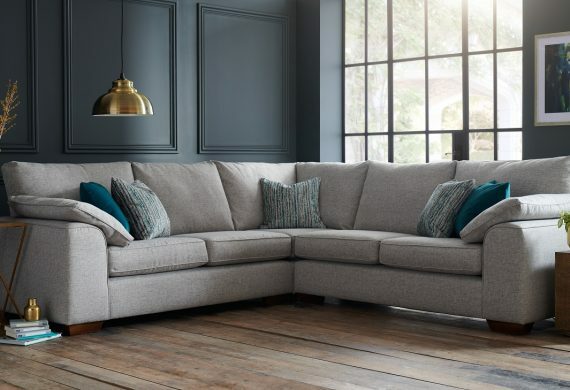 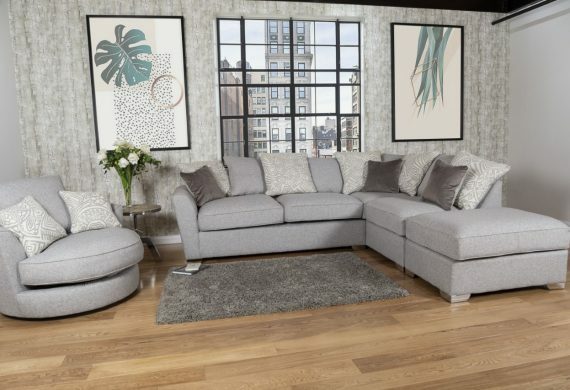 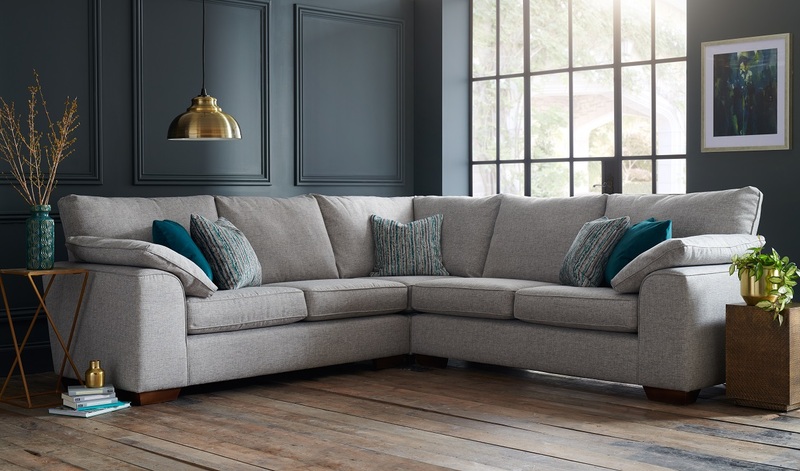 A smart and modern range, featuring a curving teardrop arm, stylish accent cushions finished with a smart button detail in the back cushions. 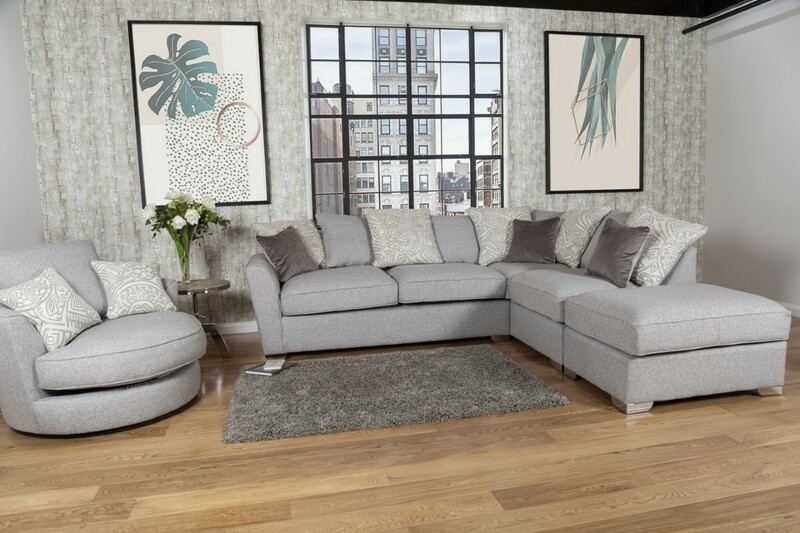 Simple wooden legs add a lovely contemporary finish. 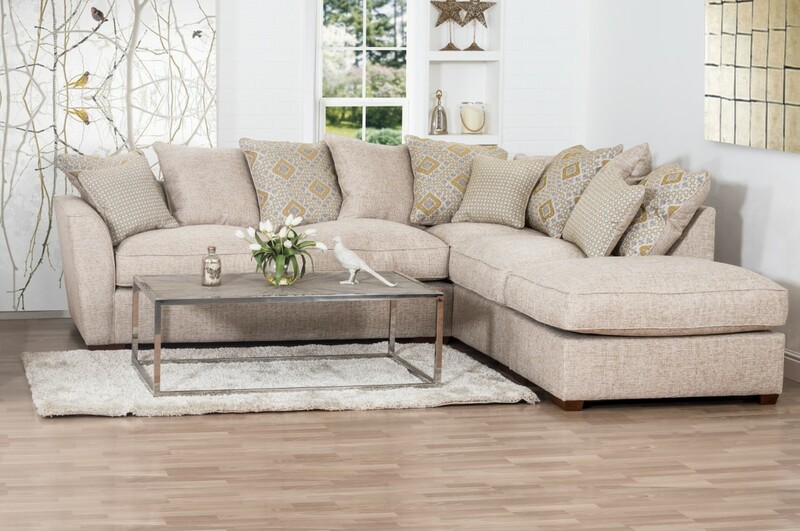 Available in Beige, Charcoal, Mink & Silver. The Vegas corner sofa is extremely comfortable, modern and stylish with its contrast piping to add to the overall look of this sumptuous combination. 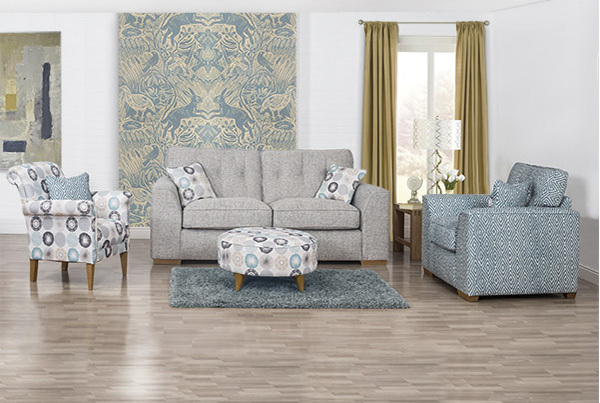 Lovely fabric ranges available, as well as other size combinations.